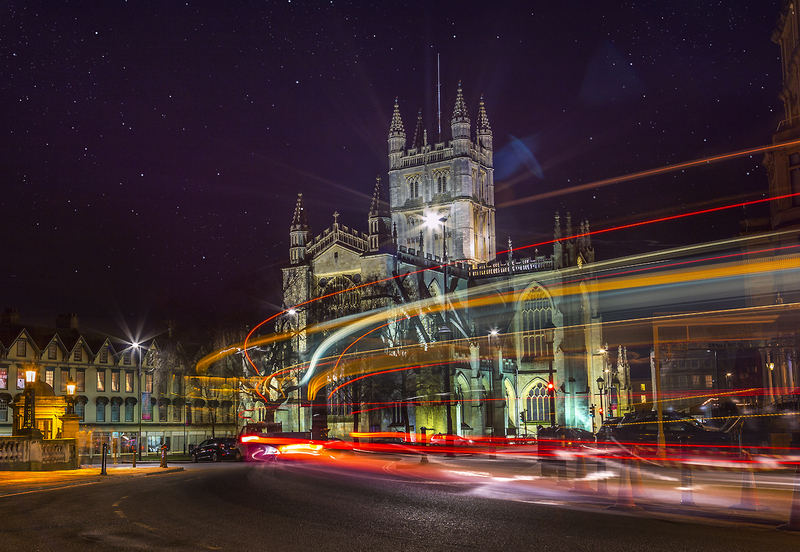 This is a stunning image of the Bath Abbey at night. 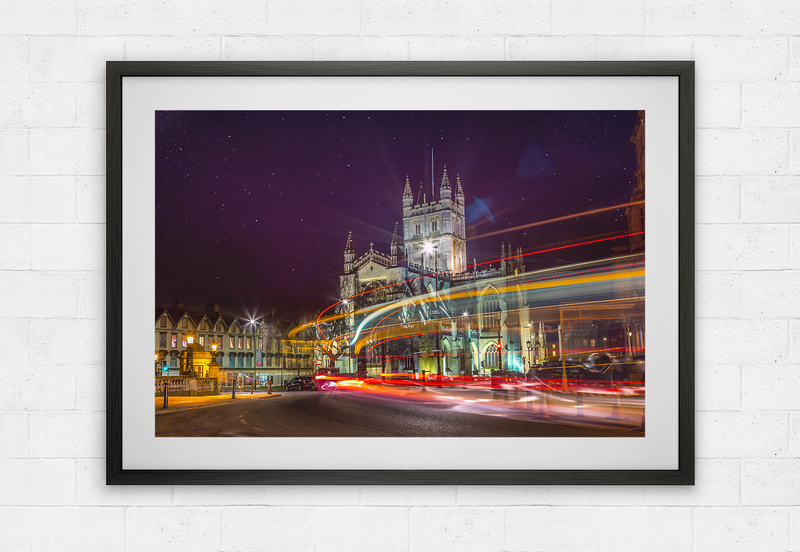 Created with along exposure to capture a rainbow of speeding traffic trails in the foreground. (Click here to view a larger image).